Most brands have a vehicle that they feel sits atop of their vehicle roster. 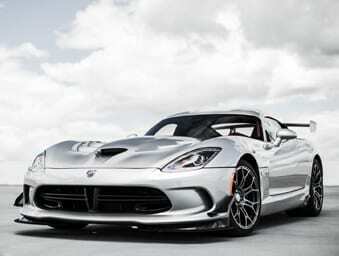 For Dodge, that vehicle is undeniably the Viper. It’s a name that instills chills down your spine at the mere mention of it. It’s the pinnacle of what Dodge is capable of and a phenomenal entry into what is known as the supercar vehicle class. Because if any vehicle can be described as something as presumptuous as a “supercar”, it’s the Dodge Viper. The 2017 Dodge Viper is the product of decades of engineering innovation. It’s a vehicle that we can be proud of at Great West Chrysler. It’s the type of vehicle that when it does grace us with its presence, it’s lifespan in the showroom is short lived. It’s a rare treat, but one that is cherished. It’s a vehicle we can’t seem to keep in stock, one of the most sought after vehicles in the Edmonton area and for good reason. You won’t find anything like it driving on Edmonton roads. Let’s take a closer look. An important aspect of any design is that a car looks and feels like its own thing. That sounds incredibly simple, but giving a car a voice, a specific style that goes beyond small aesthetic choices like color or shape makes a big difference. The design of the 2017 Dodge Viper gives off an aura of superior craftsmanship. It is a car that looks both ethereal and beautiful as well as ferocious in its aggressive styling. It’s a vehicle that feels handcrafted, each fine detail carefully worked out, with nothing in its design there by accident. Every little bit counts. Still, the 2017 sticks to its classic shape, with a long nose and sturdy back end that makes it look like it’s ready to pounce at a moment’s notice. Where do we even start? The amount of power that dwells within the 2017 Dodge Viper feels almost unnatural, almost like it’s too much to even exist. 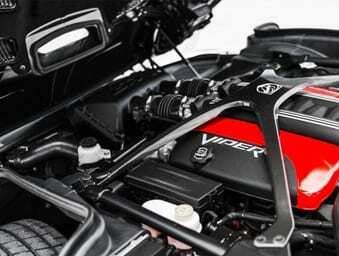 The Viper comes equipped with an unimaginable 645 horsepower and 600 lb-ft of torque. 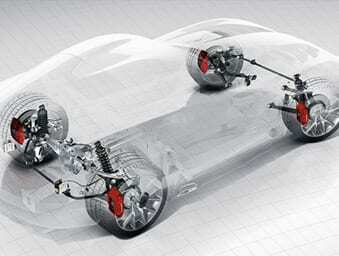 Under the hood, the Viper has a 8.4L V10 engine, and a direct, short-shifting TREMEC 6-speed transmission. It’s a bone-chilling level of power that is backed by needlepoint precision handling. It’s an entire vehicle engineered with the highest levels of intelligence. It’s a drive that is completely unique and one you won’t soon forget. It’s not just the power of the 2017 Dodge Viper that renders it so impressive. The Viper is designed with an innovative suspension system that offers a variety of dynamic driving modes, as well as a structural design that makes the Viper more solid to handle high speeds and extraneous driving. But the technology is not limited to its performance. This is still a Dodge vehicle after all, and that means it is suited with the best in communications technology as well as an impeccable audio system to boot. It’s no wonder that this vehicle, which has been dubbed the “fastest street legal Viper ever” is turning heads.